Rent a 2014 Ford Mustang GT in Hertz Rent a Car! 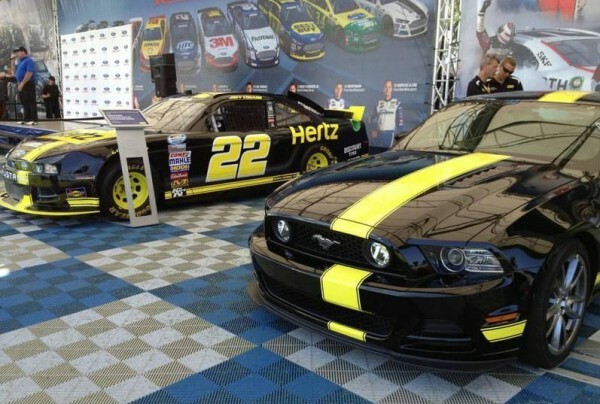 The car rental agency Hertz together with Penske Racing is introducing the 2014 Ford Mustang GT special edition, promoted as Hertz Penske Mustang GT. This special edition of american muscle car with black and gold paintjob is featuring new components as well as performance upgrades in order to give customers a chance to experience this beast Mustang GT. One of the best exterior components are the new Boss 302 front splitter and Shelby GT500 rear valence. Interior of this vehicle is another story. Penske Racing installed racing seats by Recaro, Laguna Seca Mustang gauge pod, custom floor mats, touchscreen GPS and Audio system and rear view camera. The 5.0L V8 engine received optimized ECU performance treatment, 4-tailpipe exhaust system, new air intake, 3.55 gears for better acceleration, upgraded suspension and Brembo brakes. However, no performance details are released. The best part about this Ford Mustang GT is that it will become will be available to rent as a part of the “Adrenaline Collection” by Hertz. 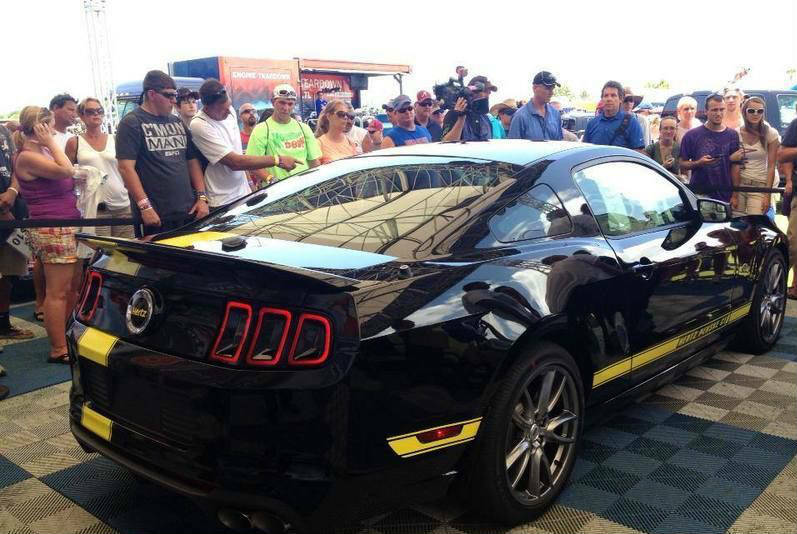 Finally, one of the best Fords Mustang ever presented can be seen on this link!